Unity Plaza opened in 2015 with much fanfare, promising to become the ‘Central Park’ of Jacksonville. 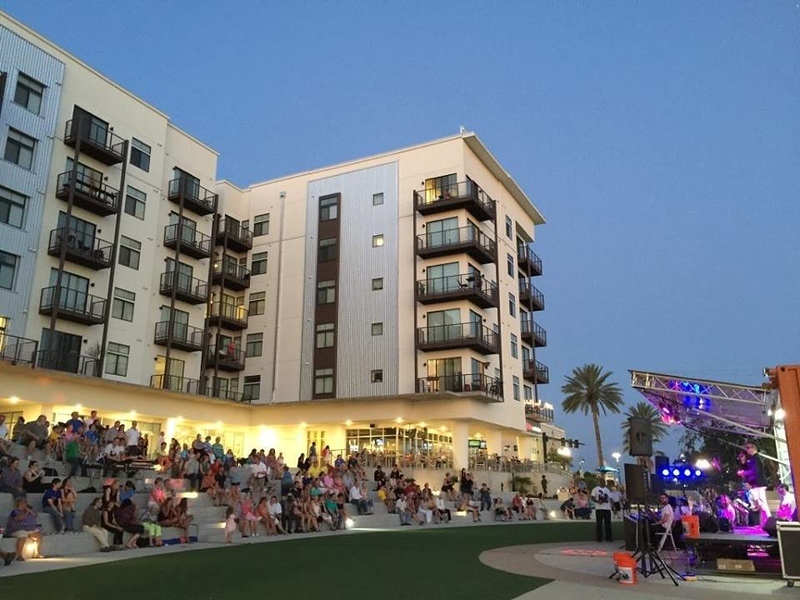 Developed as a public private partnership between the City of Jacksonville, Hallmark Partners and Mid-American Apartment Communities, the privately-managed public park, amphitheater and adjoining retail complex never lived up to its significant hype. The retail spaces have sat empty since 2018, the non-profit that was to manage the plaza has been non-existent since 2016 and the Miami-based company that bailed out the retail center’s owners have now put the complex up for sale with an asking price of $4.5 million. 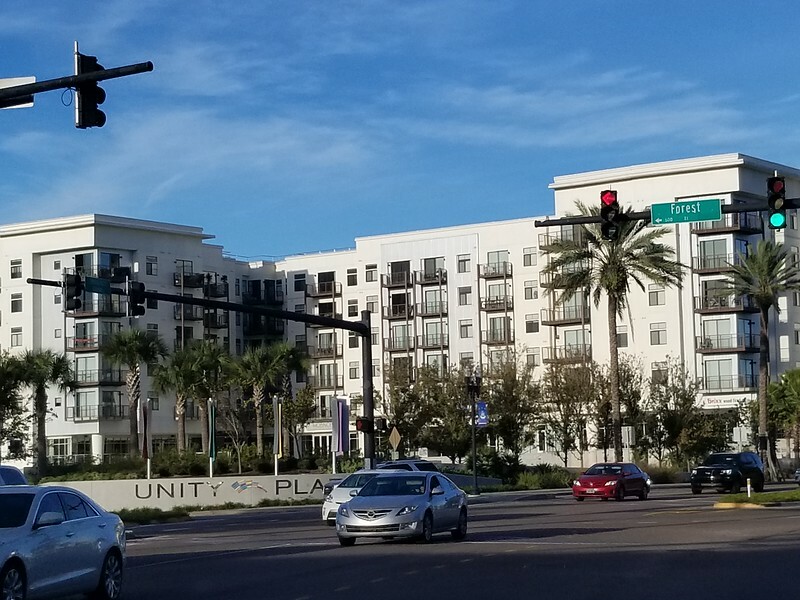 Jacksonville-based Hallmark Partners along with Tennesee-based Bristol Development and Mid-America Apartment Communities developed the more than $30 million, six-story, 294-unit apartment complex and 17,053 square-foot retail center at 220 Riverside in 2015. Mid-America still owns the apartment complex today, however as is typical of mixed-use developments, a separate entity led by Hallmark called HP Retail 220 LLC took separate ownership of the retail complex through a $5 million mortgage issued by Wells Fargo in 2014. 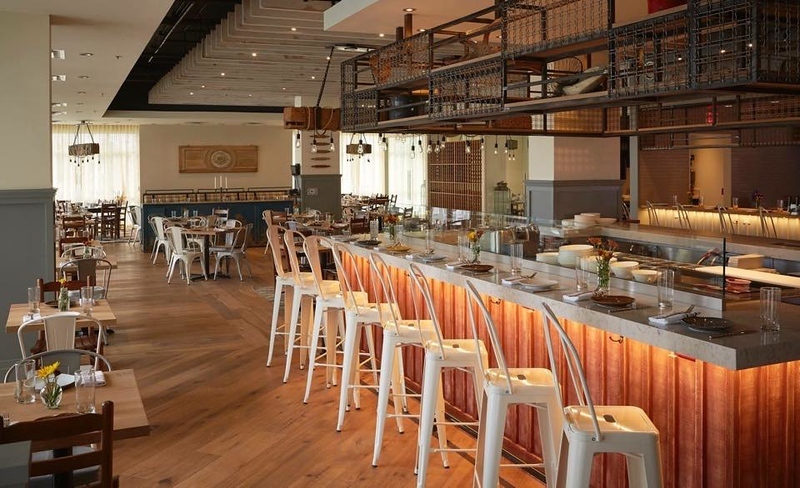 The first tenant in the 220 Riverside retail complex opened with great fanfare as Philadelphia-based celebrity chef Kevin Sbraga opened the doors to Sbraga & Company in November of 2015. 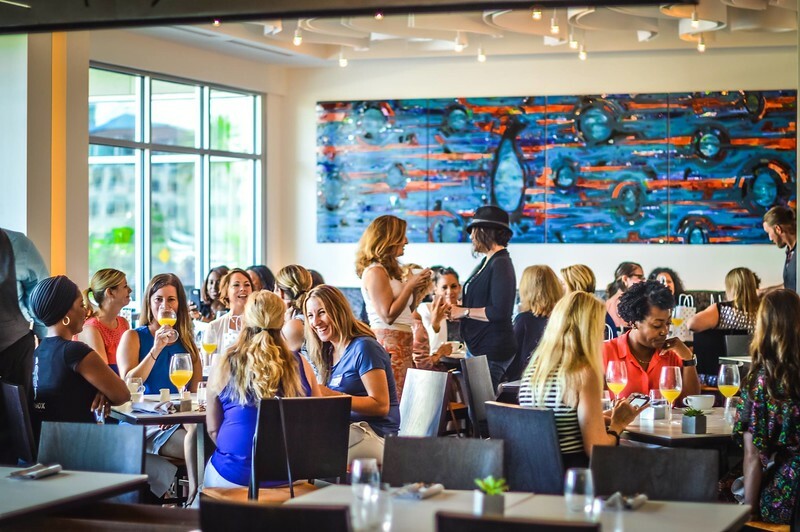 Sbraga & Company wasn’t a traditional tenant/landlord relationship as principals of HP Retail 220 were financial backers of the restaurant’s more than $2 million buildout. Sbraga reportedly clashed with the ownership group and refused to make changes to the high-dollar concept that never drew the crowds needed to sustain the business’ low margin operation. The ownership group subsequently ended their relationship with the celebrity chef and closed Sbraga & Company’s doors in July 2016. Today, the fully-built restaurant space that was once home to Sbraga & Company sits empty. 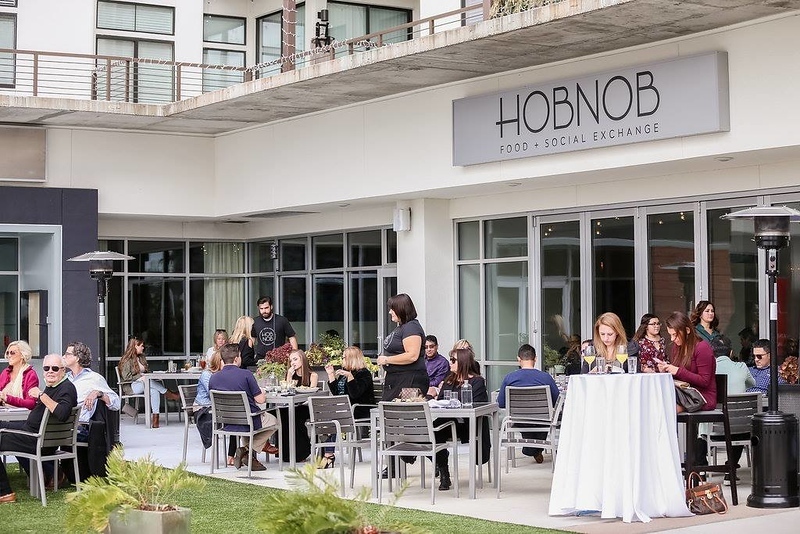 Hobnob Food & Social Exchange opened in March of 2016, occupying two of the retail spaces at 220 Riverside- a full-service restaurant and a separate event space. Originally the restaurant was to be a partnership between Ellen and Alan Cottrill and Jennifer and Liz Earnest. The Earnest family operates a catering company as well as the Cummer Café inside the Cummer Museum. The family previously operated the Candy Apple Café inside Sweet Petes, which closed in 2018. The Cottrills and Earnests hosted a dinner club for almost a decade, and the concept behind Hobnob was to resemble that shared social experience. Before opening however, the partnership ended, and the Cottrill’s would operate Hobnob as their first solo restaurant venture. Although Ellen Cottrill worked feverishly to program events to draw foot traffic into the retail complex, the business would close in January of 2018. Hobnob Food & Social Exchange was the longest tenured tenant at 220 Riverside. While the restaurant won some degree of critical acclaim, the lack of foot traffic caused the business to shutter in 2018. A third tenant, a franchise of Charlotte-based Brixx Wood Fired Pizza operated by Lora Ramsey opened in June 2016. Brixx would be the last tenant to operate at 220 Riverside, finally closing their doors in May of 2018. With the loss of its major investment, Sbraga & Company, and with sales continuing to decline at Hobnob, who operated on a percentage-based rent, 220 HP Retail’s investors made the business decision to turn over the property in a deed in lieu of foreclosure transaction valued at $3.5 million to CRE Properties, a subsidiary of Bank United based out of Miami. Bank United had assumed the original $5 million mortgage on the property from Wells Fargo in 2015. With an emerging Brooklyn retail market heating up with the planned addition of a new retail center that will house a Chipotle and Panera Bread and Jacksonville’s first food hall, CRE Properties has finally listed the 220 Riverside retail center for sale. The four retail condo units within the complex offer spaces of 6,667 square feet, 4,560 square feet, 3,714 square feet and 2,112 square feet. While the complex struggled, the offering represents a significant value add opportunity for commercial real estate investors who are finding increasingly limited investment opportunities. Two of the existing restaurant spaces are fully outfitted, meaning theoretically an operator could move right in with minimal build out costs. The offering values the retail spaces at about $260/square foot. This would be comparable on a per square foot basis with the 11,451 square foot Brooklyn Place inline retail center once acquisition and entitlement costs are added into the $1.75 million construction costs listed on building permits filed with the City. With over 17,000 square feet of leasable space at 220 Riverside now being completely vacant, it is rare that an ownership group would have the opportunity to completely reimagine a new tenant mixture without incurring additional lease buy-out expenses. The timing of this offering is also particularly attractive. The apartments on top of 220 Riverside enjoy consistent 95% occupancy rates, and an influx of additional foot traffic will be online within the next 24 months as more residential units come online. Vestcor is hoping to soon break ground on the 136-unit Lofts at Brooklyn development three blocks away, while Hallmark Partners and Bristol Development have already started construction on the 308-unit Vista Brooklyn development next door. Immediately to the west, Riverside Lodging purchased a 1.8 acre site for $2.4 million, and will soon break ground on a 135-room Marriot Residence Inn. Hotel guests generally spend money at nearby dining options, and 220 Riverside’s retail spaces will be just across the street from the Residence Inn.